Thanks for being a part of this adventure with us! 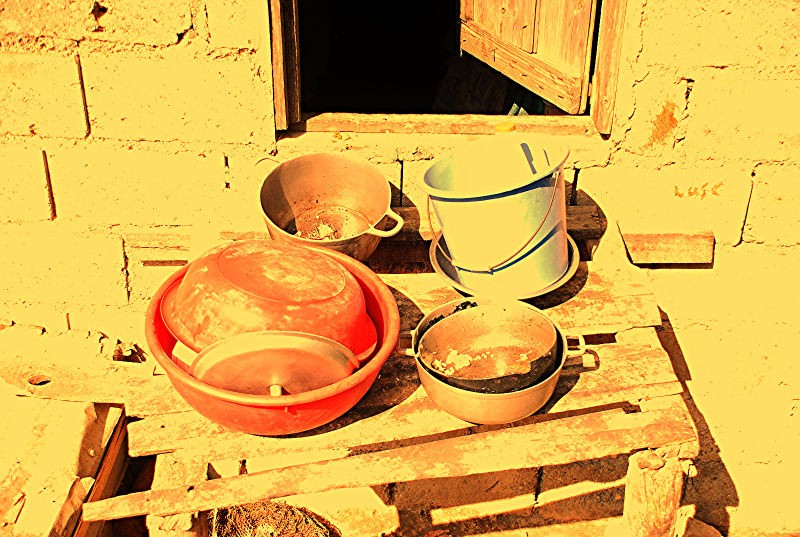 The dishes sit on the rickety table outside waiting for water. No electricity. No indoor bathroom. These things may never change...but their lives can and will! I bought myself a pair of little black shoes yesterday. I had plans for those shoes but God had a purpose for them. This past week on the Chapel Project build, I befriended a little Haitian lady named Jenny who lived next door to the chapel. She knew that Jesus is God's Son and that He had died on the cross for the forgiveness of her sins. She even knew that she needed to accept Him as her personal savior but she wasn't ready she said. She knew she wasn't promised tomorrow but she wasn't ready. 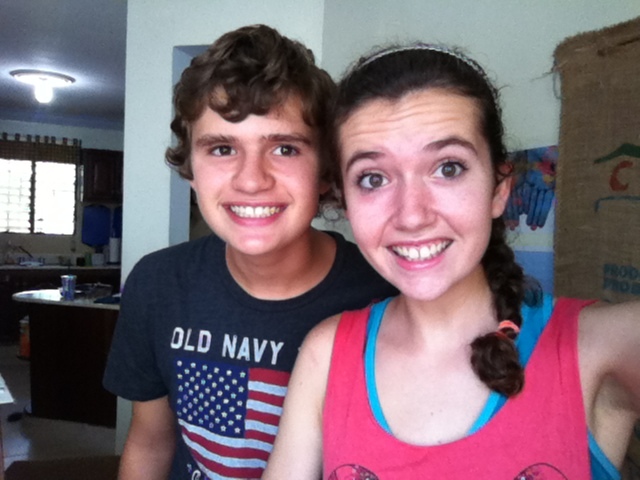 Jenny and I became friends this past week. 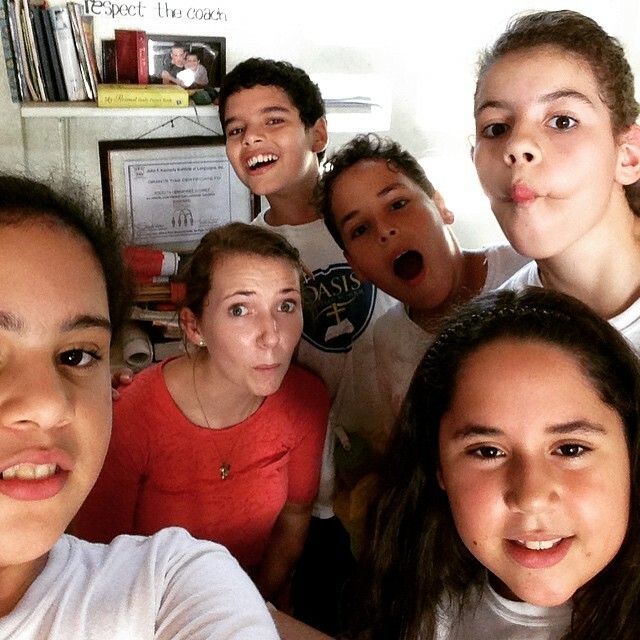 We spoke in a funny little mix of broken Spanish, Creole and English. We shared coconut, peanuts, laughs, smiles, hugs, waves and a sweet friendship, oh and how to marinate and massage chicken liver for frying! On Thursday, as we prepared to leave, Jenny asked me for a pair of shoes. Jenny became frustrated a bit with me when I told her I didn't have any extras for her. Something that was beyond her understanding. I was a bit frustrated with Jenny for asking me for something. Being constantly expected to give someone something because I am a white American is a bit irritating. This is part of the struggle of being in a foreign culture where you don't blend in. Friday morning, we were able to enjoy sleeping in a bit and running some errands. During errands, I found a simple pair of closed toed shoes on sale. I bought them as I have been needing a pair for ministry and don't like to borrow the girls because they are a bit too big. Last night as we headed to the Chapel Dedication, I felt like God told me to take my new shoes to Jenny. I was like, "What?!? Seriously, God!" Yes! and leave the tags on so she sees they are new. So I took them to the dedication and got ready to give them to her. God told me to present them to her as a free gift...like the Gospel is a free gift. God gave His Son for us but it is up to us to decide to accept this gift. With a translator, I headed over to deliver the gift of my shoes. 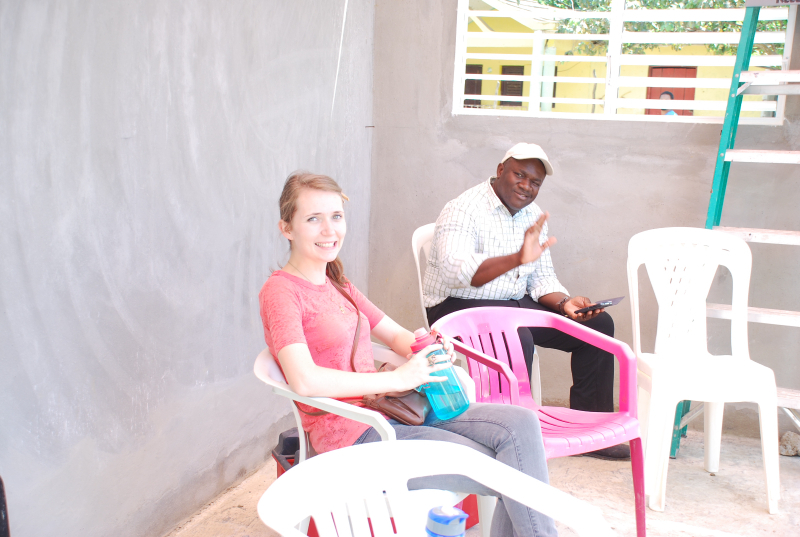 I start with sharing about the Gospel being a free gift and Jenny calls over her husband Johnny. After talking with both of them, they both decide to accept the free gift of the Gospel! What an answer to my prayers for my friend all week! Yes, Jenny liked the shoes too! God had a purpose for my shoes that was much greater than a pair of shoes. Johnny and Jenny still live in the same little house with no running water or electricity or indoor bathroom but their lives are forever changed! No matter how simple our lives are we can always be changed with God. God will always use what we have and where we are when we are obedient. Even if it is a little pair of black closed toed shoes. PS... the daughter of Johnny and Jenny enthusiastically gave her heart and life to the Lord during the Chapel Dedication service! What a new beginning for this sweet little family who lives in the little shack next to the latest chapel project site. 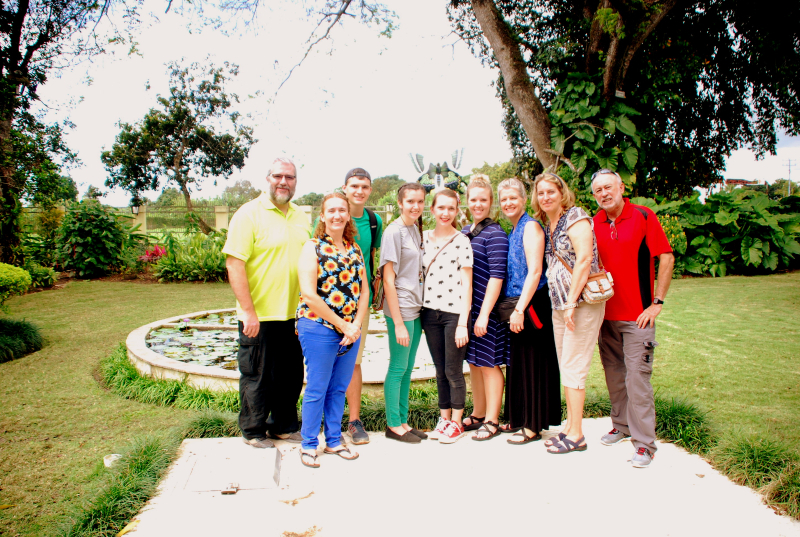 We had a great time hosting the Paz ladies who came for a cultural visit for college credit. We were able to learn more about the local history. Learning about the past helps us to move forward to the future without some of the same mistakes. Here is a map of where we have been for the past 19 months and where we are moving to. Note the roads go from Santiago to Santo Domingo and then over to Azua. Thanks to everyone who has donated towards a car for us to purchase. We are excited about having a means of transportation. We are still a bit short of funds so if you can give that would be super appreciated! 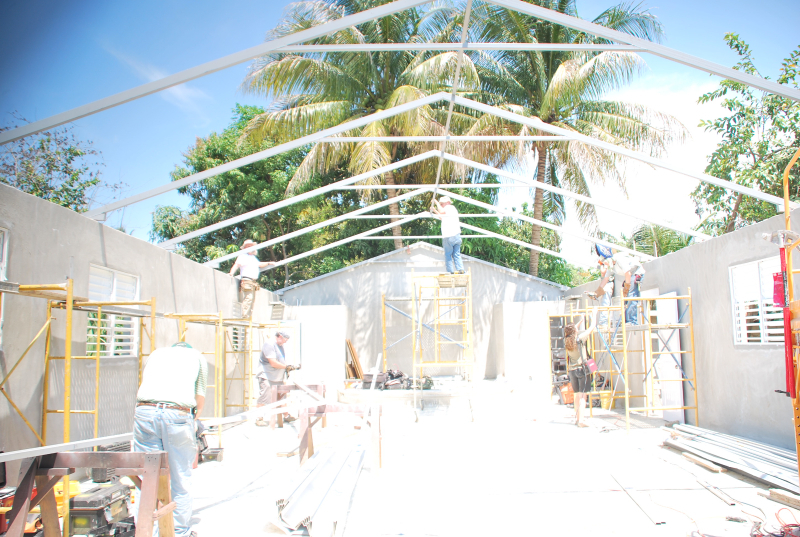 A few pictures of last week's Chapel Project build. We always enjoy working hard together as a family. 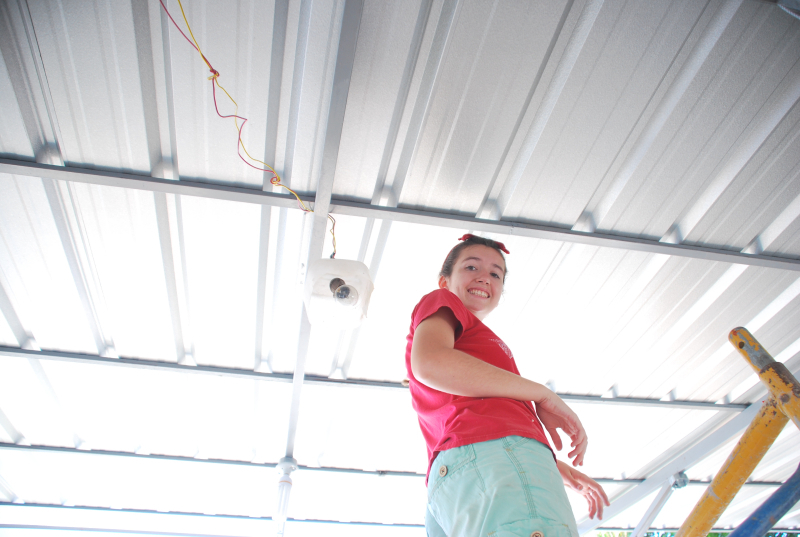 And Jesse is in a couple of the pictures but he is on the roof some. Please like our facebook page: Walker 5 for God or friend any of us as we post lots of pictures there also. We would like to ask you to prayerfully consider helping us financially at this time with either a one time gift or a monthly amount of support. 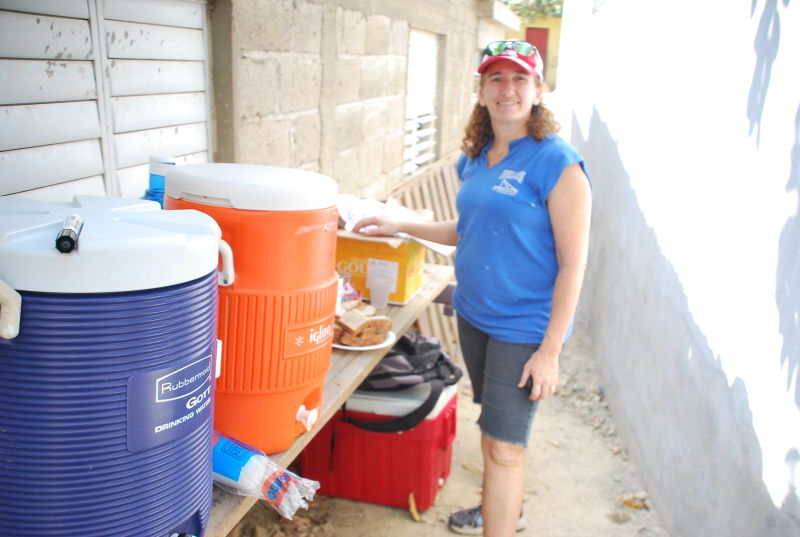 Financial support is one of the hardest things to talk about as a missionary but it is needed. God does provide and we are thankful. 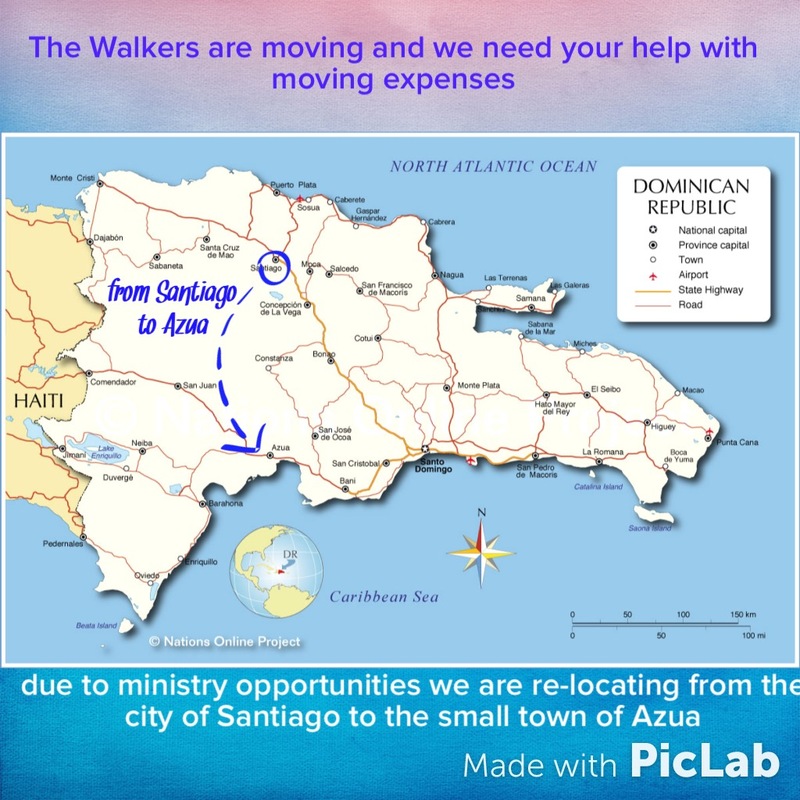 Presently we are in need of some more support due to this move to Azua. Moving expenses, purchasing a car, higher staff fees, more outreaches... along with the fact that our kids are growing and our clothes get more worn out...this all makes for more needs. So thank you for considering giving a donation! We appreciate it a lot. 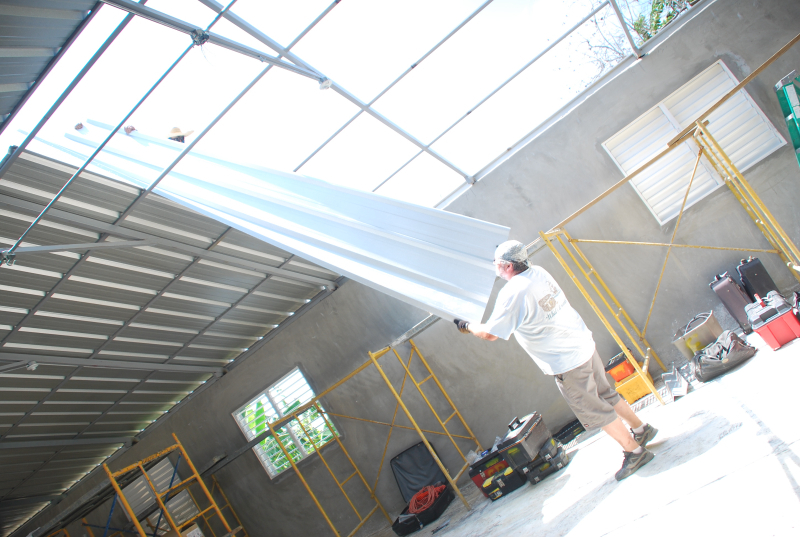 Having a vehicle of our own will help us save money as we do ministry around the city of Santiago and around Azua when we move there. 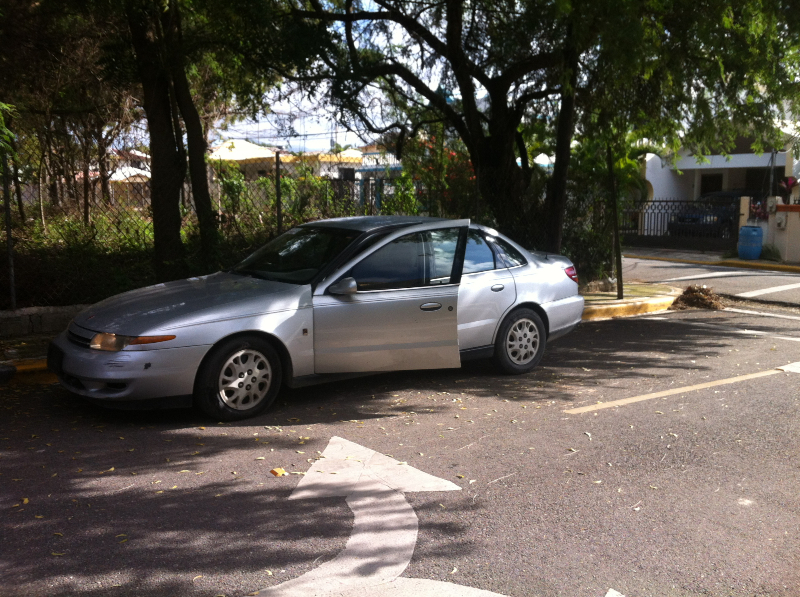 In Azua, public transportation is not as prevalent as here in Santiago so we are really in need of a car. Wally hates school! But he Loves Ned! He got kicked out of school! He lost his shoes so he couldn't go! Wally Loves Ned and the ipad! So what do you use to motivate Wally in school? You use what he likes, Ned and the ipad mini. Schools here are not much fun. The teachers write the lessons on the board and the students copy them in their notebook. Then they have this huge exam to see if they learned everything or not. This is literally the way students here are expected to learn. We have encountered 17 year old young men who cry because they don't want to go to school. There is so much pressure to do well in school and get an education. This is especially true for those in the poorest areas of the city. 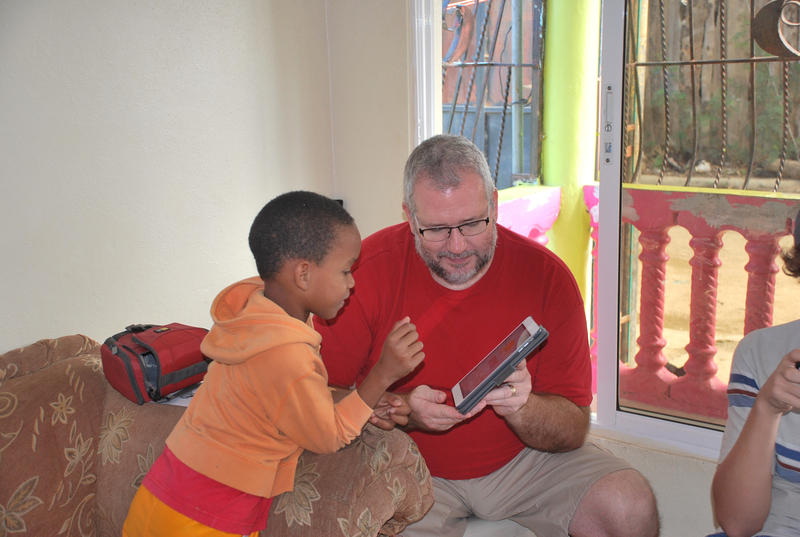 We have started volunteering 2 days a week at a children's center where students age 3 to 14 receive help with their homework, are taught the Bible and are fed. This is where we met Wally. Wally is a sweet little 7 year old who loves to smile and play but really doesn't like school at all. From day one, he was attracted to Ned and the games on Ned's ipad mini. So much so that he wanted to play and not go to class and work on his homework. Most days, Wally comes to the center both morning and afternoon instead of going to school because he had been kicked out of school and then he "lost" his shoes so he couldn't go to school. Ned made a deal with Wally that if he did his class work then he could play on the ipad. WELL, not only has Wally been doing his work at the center but this week he also made it all week at school. Sometimes you just need the right motivation from the right person! Wally is also thriving at learning English as he and Ned chat. 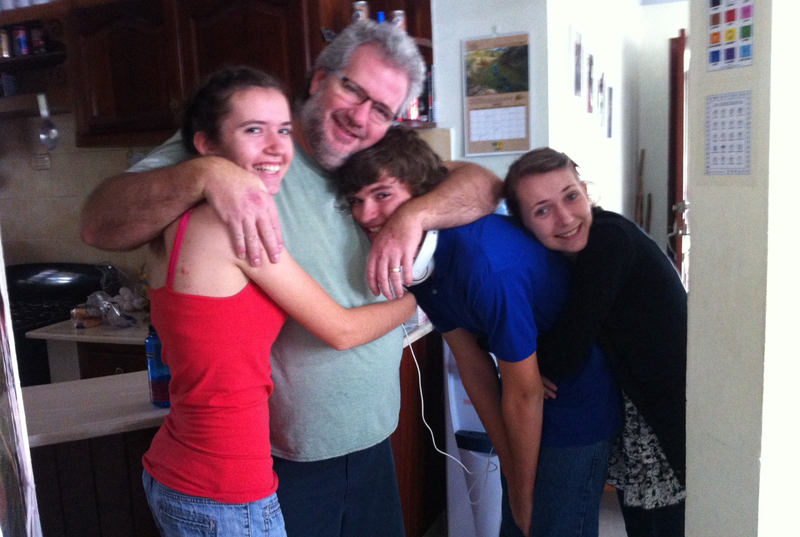 Fatherly Love and Hugs. Fun pictures taken with your Dad. Just playing and laughing and wrestling and joking with your Dad. You know that guy who will always be there with you and for you. He may be stern at times and you may disagree with each other but he loves you. 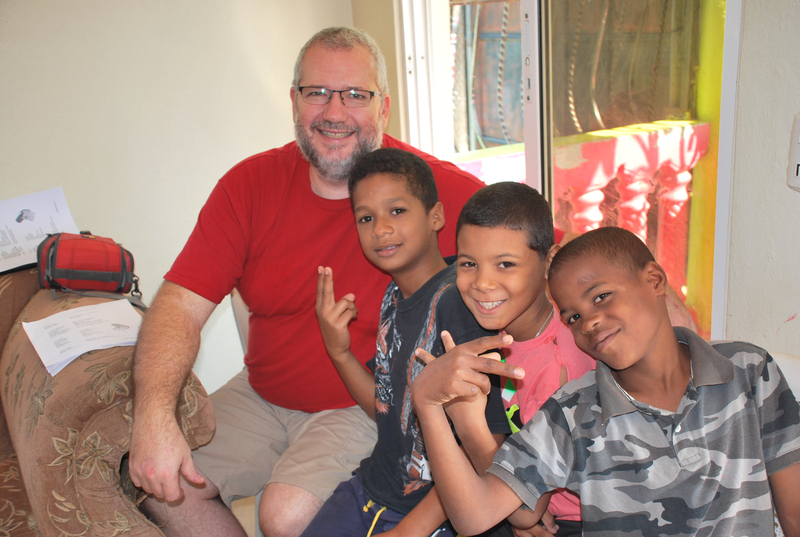 Fatherly love and influence is missing in the lives of so many of the children here in the Dominican Republic. So many here don't know their dad or their dad is not a good influence at all. Ned's often quiet presence helps to change that. These boys are 11 and 12 and don't know how to read. One day when Debbie was teaching English to their class and passed out a paper with short conversations in English and Spanish on it, the other kids made sure that we knew that these guys couldn't read. So Debbie quickly sent them with the papers out to Ned to give them some small group time and to help them not be embarrassed in class. At the end of their time, which consisted of a lot of laughing and not much English learning, they asked if Hannah would take a picture of them with Ned. On this day, they got a small glimpse of the love of a really cool Dad. They got a cool glimpse into how much God loves us like a Dad. My life is an adventure. Some days I don't fell like anything is happening, but then I find myself talking selfies with the quietest of all the 6th graders. It's those little moments that make the sitting and waiting all worth it. It's knowing that in 3 days you may not have impacted all of them, but you hope they really understood that they are better than what others have said about them. So tonight as I sit and wait for my next adventure I hope those crazy wild 6th graders grow up to the world changers they can be. These two! Hannah finally has given up trying to be taller than Jesse. You will often see them walking the almost 2 miles to their friend's house. It is a local ministry called Casa Grande and once there you will find them welding, building, playing airsoft, swimming or who knows what. They both understand quite a bit of Spanish and speak it when needed but usually only when needed. The boys at the center love to fist bump or arm-wrestle with Jesse and all are amazed that he is only 14 because he is big. Hannah is always keeping us laughing with her witty humor and the little girls love her hugs and smiles and touching her hair. 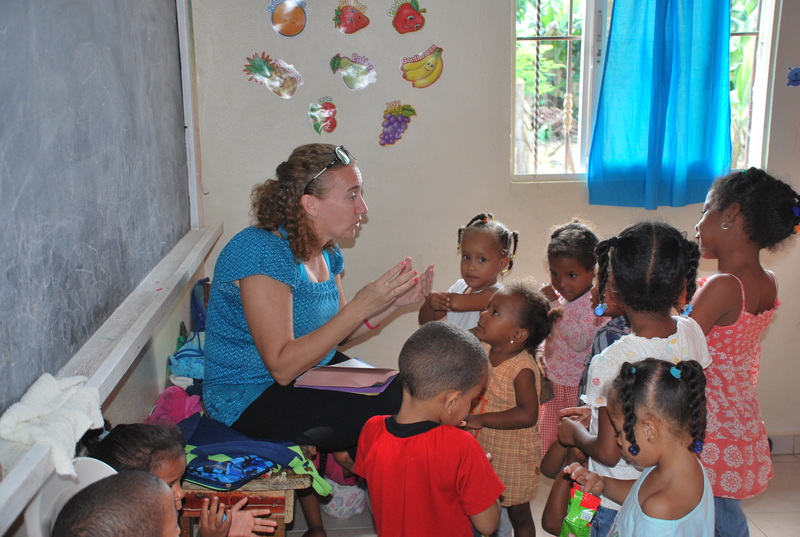 Debbie teaching the 3 to 5 year olds how to count in English and Spanish. 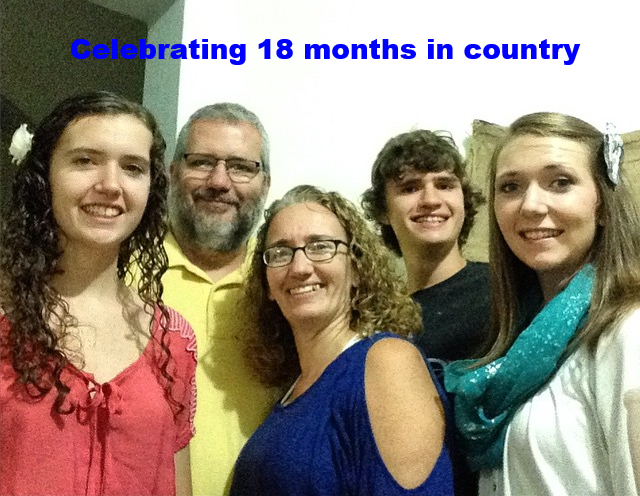 Our family will be joining the YWAM Azua staff in May. This will entail moving about 4 hours away. We need to figure out a lot of details regarding this move. Some of these details are...how to move across a country where there is not uhaul or hertz rentatruck. A place to live in Azua. A mode of transportation... Azua does not have the public transportation available that here in the big city of Santiago does. Disconnecting and connecting water, electricity, internet, phones, etc... All of these things along with leaving behind part of our hearts with our friends and relationships here in Santiago. WE KNOW that God is in this move though and have a huge peace about it though it is not easy. Funds for a vehicle are still needed along with extra funds for moving. Please let us know how we can pray for you and your family or ministry!